For all your wholesale dental products look no further than Harrisons Direct! 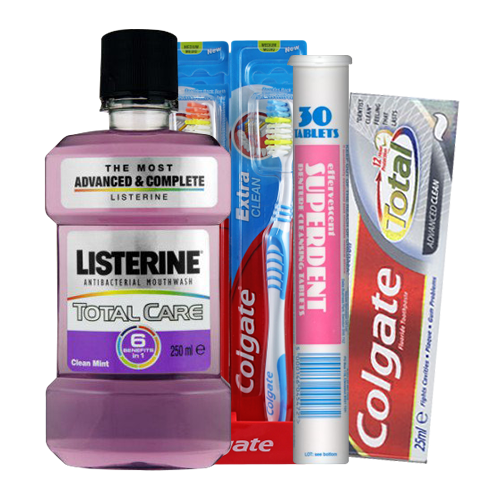 We are the UK's leading suppliers of wholesale toothbrushes and toothpaste. Whether you're looking for wholesale Colgate toothpaste, or an emergency toothbrush you're in the right place! 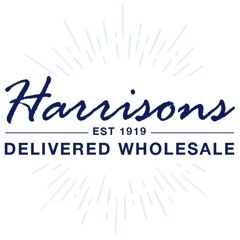 Get 10% off your first order today with Harrisons Direct. As a leading supplier of wholesale health and beauty products we supply an extensive range of wholesale dental products designed to improve oral health. Perfect for removing plaque and keeping the mouth feeling fresh after every use the wholesale Colgate Extra Clean Toothbrush is an extremely popular wholesale dental item and with good reason. It’s been specially designed to keep adult teeth thoroughly clean whilst protecting gums against disease. Similarly the wholesale Wisdom Fresh Effect Sensitive Toothbrush has been designed with angled filaments, rubber polishing fingers and an antibacterial tongue cleaner to help reach areas other toothbrushes struggle to reach. For kids learning to brush their teeth our range of wholesale dental products contains a number of specially designed toothbrushes from leading brands. The Oral B Stage 2 toothbrush is designed to suit the kids who have a full set of baby teeth. For kids further down the line the Wisdom Step By Step Toothbrush 3-5 Years has a compact head and gum bumpers to help protect delicate gum tissue. Both wholesale Colgate Total Toothpaste and wholesale Aquafresh Fresh & Minty Toothpaste help protect users teeth from sugar acids and cavities whilst maintaining healthy gums, strong teeth and fresh breath. Specially formulated for those with sensitive teeth wholesale Sensodyne Toothpaste strengthens tooth enamel, stops decay and leaves a fresh finish after every use. Specially designed for kids Wisdom Step By Step Enamel And Cavity Defence Toothpaste helps protect against teeth decay, strengthens tooth enamel and maintains healthy gums. Helping to prevent plaque build up, stop cavities from forming and prevent bad breath our range of wholesale dental products contains a selection of high quality wholesale mouthwash and floss. Popular with many customers Listerine Coolmint Mouthwash reduces plaque by up to 56% more than brushing alone, whilst Listerine Zero Mouthwash helps to fight germs. Wisdom Flossers and Wisdom Dental Floss are both effective in removing particles from in between the teeth and along the gum line where food debris can build up and is difficult to reach with a toothbrush. Keep dentures clean with Superdent Denture Tabs and improve wearing comfort by cushioning between gums and dentures with Fixodent Denture Cream. With over 95 years experience in the wholesale industry we take great pride in ensuring the customer care and delivery service we offer is second to none, so you can ensure your products will arrive on time every time. You can now make the most of our all-new rewards scheme when you purchase wholesale dental supplies from us here at Harrisons Direct, our way of saying thank you. Can’t find what you’re looking for? Or need more information on purchasing wholesale dental products? Feel free to get in touch with our customer care team. Call us now on 01254 306840.